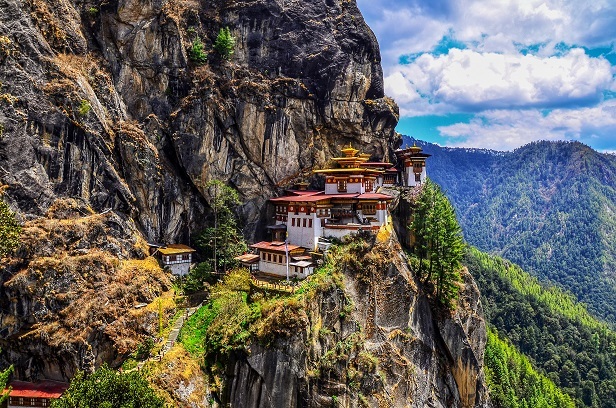 “Of all the countries, of all the places… and Bhutan is where my heart belongs to”, said everyone who ever visited this hidden gem of a country in Asia sandwiched between Nepal, India and China. A land lost in an era, Bhutan is most-definitely one of the most less visited places on earth. Perhaps that’s why the biodiversity, the local people, the culture and its traditions… there is not a single thing about Bhutan that wouldn’t mesmerize you. After all, who doesn’t love travelling back to history? Here’s a fun fact about this abundance of nature called Bhutan. The government mandates that more 60 % of the country is covered by greenery. Now that is impressive don’t and alluring. A country so small, yet you will find a new and whimsical world of the Himalayan Kingdom with so many marvels of the Dzong architecture nestled in highest cliffs. 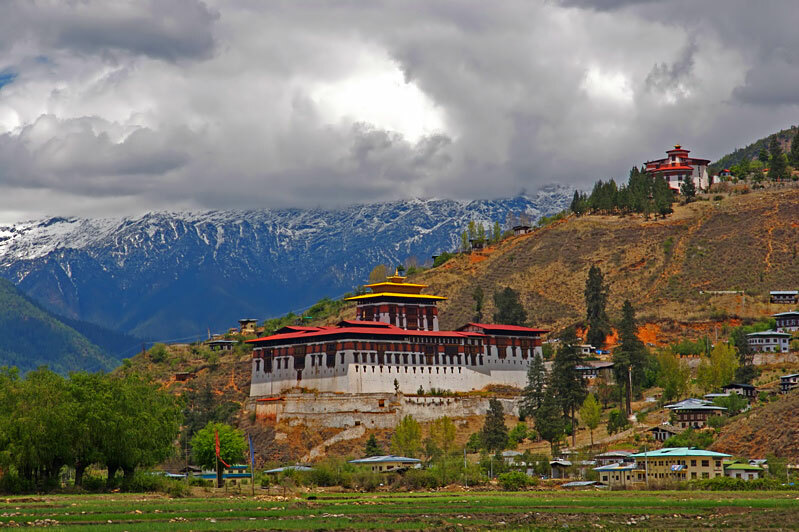 Know more about places to visit in Bhutan with SOTC Holidays. Today we give you a little exploration of the mediaeval age camouflaged in by Mother Nature. Nestled in the snow-capped Himalayan range, Paro has a rich cultural diversity and scenic beauty. Visit this place for you will get to see beautiful temples and monasteries located in the vibrant yet ancient villages down the valley. The ruins of ancient Drukgyel Dzong from 1649 is a popular attraction of the Dzong. Here is a fun fact about this ancient place, this was created as the false entrance to keep the Tibetan invaders away from entering the courtyard. This valley is commonly referred to as the “Little Switzerland of Bhutan”. A lot of historical and pilgrimage sites are scattered throughout the locality among which Kurje Lhakhang, Zangtopelri Lhakhang are considered to be the most sacred. From handicrafts to photography, you can do everything you want. Also known as the Tiger’s Nest, this is an ancient Himalayan temple in the upper Paro valley. Believed to be a holy site for the Buddhists, locals say that the Guru Padmasambhava meditated at the caves here for three years. The complex comprises of 30 temples and several shrines to worship. You can also get the perfect view of the alpine region from there. This is where Bhutan scores than most countries. Perfect for nature walks, this place is a trekker’s paradise. Visiting Taktsang Monastery further exploring the environmentally protected Haa valley is the ultimate dream. 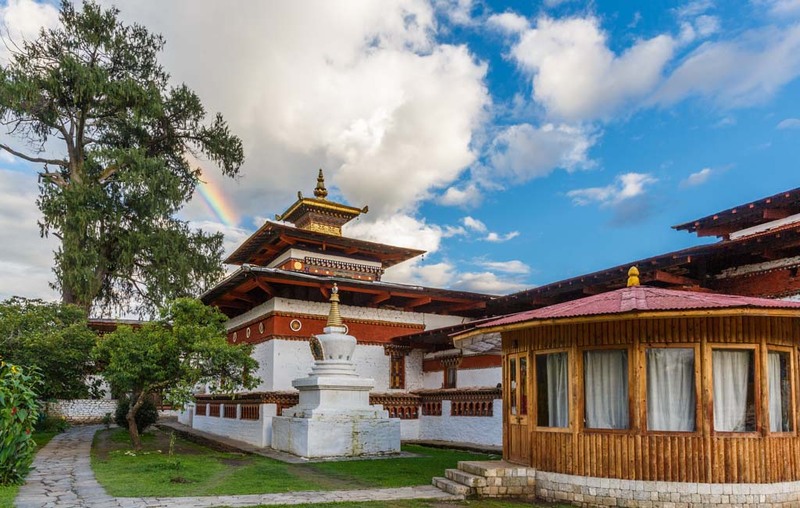 Other hotspots in Haa are Black, White and Haa Gonpa temples,and a stupa with an imprint of Guru Padmasambhava’s body and hat which can’t be missed. Prior permission is a necessity from Thimpu, the capital of Bhutan, to visit the Haa valley. Want to explore the wild side of nature in Bhutan? Make sure you stop by Bumdelling Wildlife Sanctuary. It is known to be the most important bird area of the Himalayas covering the alpine lakes and the valley of Bumdelling. And if you are lucky, you will spot some Black-necked Cranes considered as one of the rarest bird species, and Takins which are known to be found only in the Himalayan region, thus making it the national animal of Bhutan. This picturesque beauty of nature is situated in the centre of the Bhutan near Mangde River. 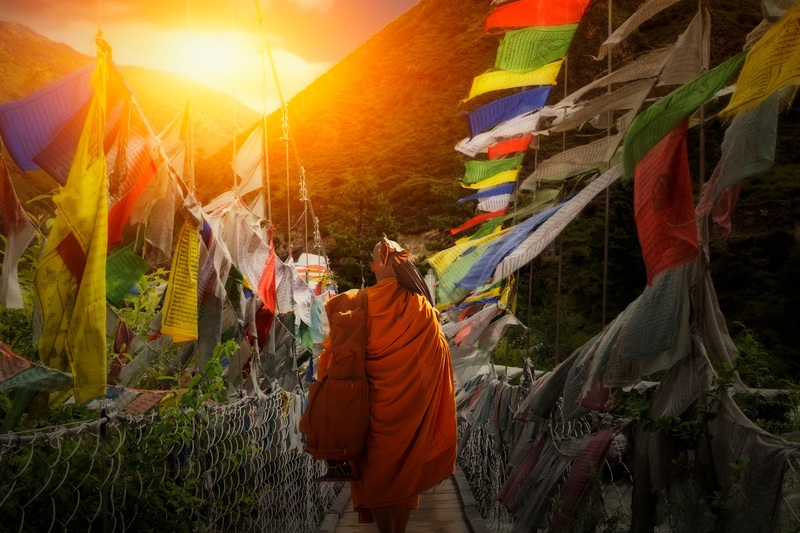 We will give you a simple tip to soak it Bhutan in its authentic form, listen to the 200 Buddhist Monks chanting in the 25 temples situated there. It is simply peaceful. Plus the backdrop of Mangde Chuu Valley is so breathtaking, it makes this place look like a travel postcard. We are sure to have painted an alluring picture for you by now. So what do you say travelers, want to travel back in an era of nothing but nature, wildlife and simple life? Want to take a trip to Bhutan? Check out amazing Bhutan packages by SOTC Holidays. Book now for amazing offers! Why Should Mauritius Be Your Honeymoon Destination? Our Summer Trek to Garbett Plateau! Sri Lanka – The Land of Mesmerising Attractions! To Travel is to live and the best place to live is Goa!